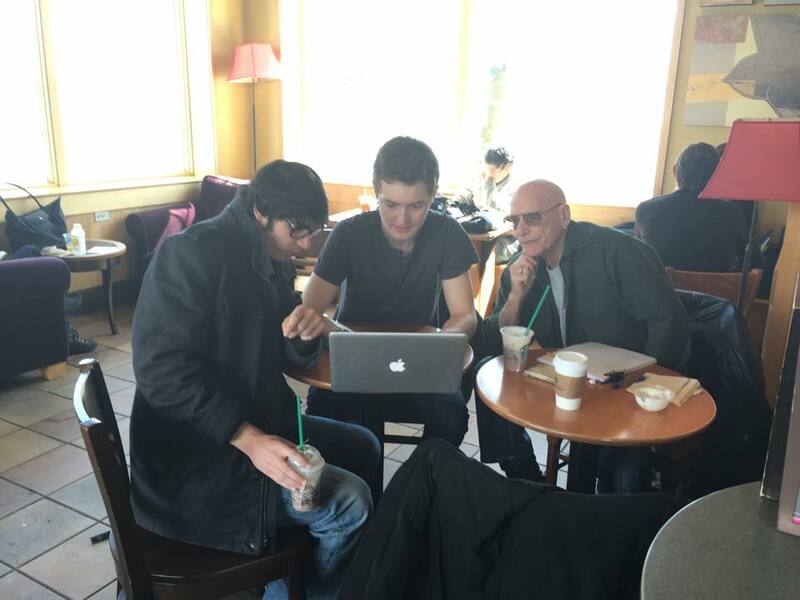 The following is an interview with writer/composer Brett Steinberg, who is nearing the end of production on his original musical, Absolute. The result of a two-year process, Absolute is set to open on June 26th in Westport, Connecticut. In this interview, Steinberg recounts the process and challenges of staging a new, original musical with modest means. THEATERIFIC: What is your background in regard to theater and music? How long have you been involved in the arts? 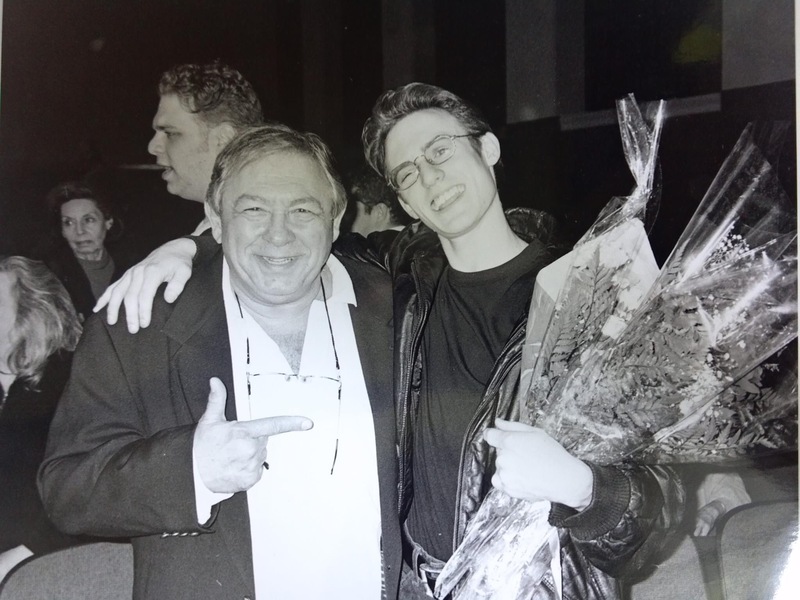 BRETT STEINBERG: I’ve been in around 10 different musical theater productions including RENT, Godspell, Pippin, etc. I’ve had experience directing short vignette scenes and have learned the ins and outs of being in an ensemble and the lead in shows. I’ve learned both perspectives and all of the cast has as well. I’ve been consistently involved in music and theater for around 7 to 8 years now and have recorded over 4 records and played over 100 shows. Many cast members are going to schools such as NYU, Northwestern, Emerson, etc. for theater and have been in even more productions than me – for some, many more. Give us a brief synopsis of the show. The show is about community. It’s about 5 people, who are all distinctly different and come from different backgrounds, but live in NYC together. These unconventional souls ultimately come together in Brooklyn to learn something different from each other and themselves. What many of the characters thought they wanted in order to be fulfilled is challenged by the separation from each other and their home that they endure. It’s a coming of age story about what matters most and what we need to stop denying and depriving ourselves of. What inspired you to write this musical? You’ve spent a great deal of time working on this show. When was the exact moment that you knew you had to write it? 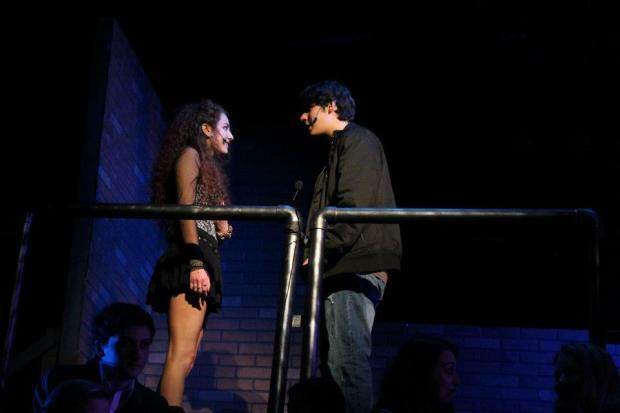 I was in RENT a couple years back and it changed my life. I am in love with rock and alternative music and I am fascinated by the idea of a musical – showing/telling a story of characters you care about. The songs mean more because there is greater context given to the audience. You care about the characters and thus the songs mean that much more. The fusion of modern rock and a modern context within the model of a musical is extraordinary when it works. I needed to create something of my own, with my own voice, that met that criterion. Take us through the process of casting the show. How did you find the actors? What was the audition process like? It’s really a cast of friends whose one true love is theater. Only my talented friends would be crazy enough to join a show in which there initially was no production team/company backing us, no built in audience, no guaranteed funding. Now we have an entire team working with us and funding for a legitimate set. It’s a cast of the most talented creatives I know who believe in theater, believe the vision of the show and love performing. They’re friends I’ve met through theater and have shown me first hand how dedicated and passionate they are. I’m honored to have every single cast member of the roughly 25 person cast. Do you find rehearsals more or less challenging with completely new material? How do you help the actors find their characters? Definitely more challenging, but we have studio recordings and instrumentals of every song that I recorded in my home studio setup. We have a very intuitive cast and a director who specializes in creating characters with depth and three-dimensional qualities. Very. 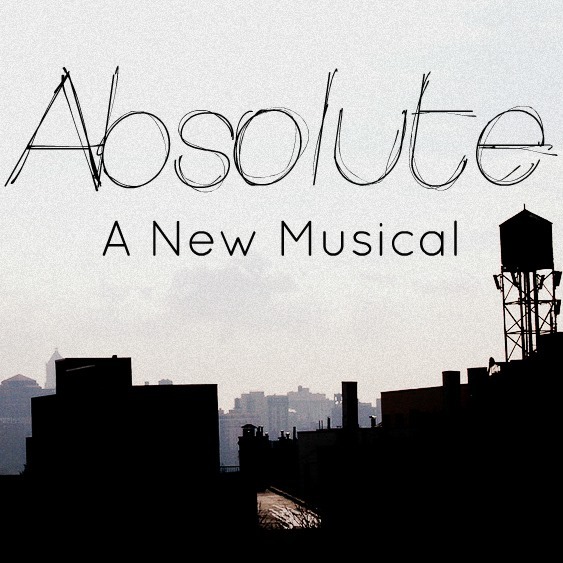 Something like a musical such as “Absolute” requires more than one person working on it. It simply must be a collaborative process, or the show will suffer and maybe not even get off the ground. We have choreographers, a director, producer, vocals leader, live band, stage managers, a set designer, lights/sound person, costumes designer, etc. Every person has a role that is imperative to the show and specific to their knowledge and ability. Communication is key – we all are interconnected within this complicated and rewarding process. It’s difficult to produce any show. How challenging is it to find funding for a completely new show, as opposed to a well-known play or musical? How successful have you been and how close to your goal are you? It’s never easy to have people invest their own money into something pretty unprecedented and unfamiliar. We have reached out to our friends, family and fans (acquired through various other projects I’ve been involved with). The funding campaign has been so successful and such a humbling experience. 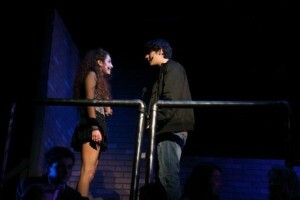 It’s inspired us to go above and beyond any expectations and really put on the best musical we can. What are some of the creative ways you’ve come up with to promote the show? How do you get people’s attention? 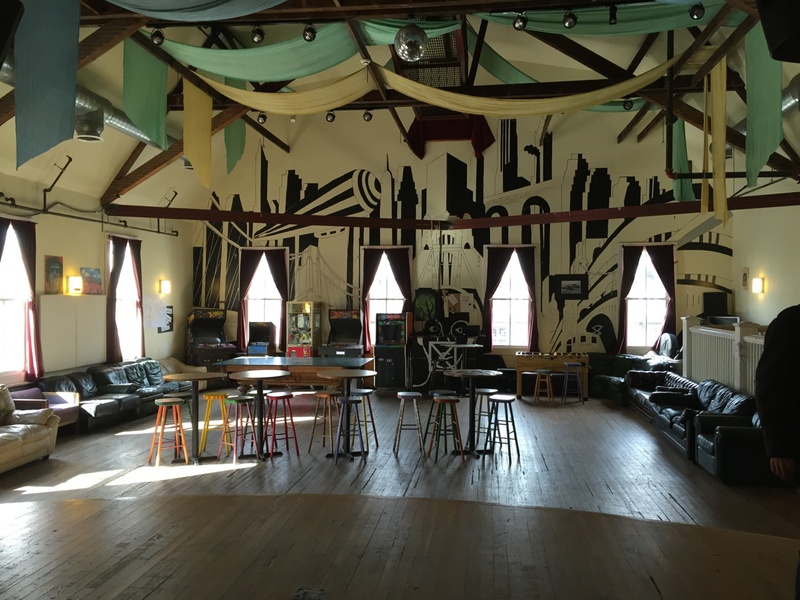 We’re looking into performing at high schools in and around the neighborhoods surrounding Toquet Hall in Westport (the venue we are performing it at). We are also utilizing social media (twitter, instagram, facebook, tumblr) to get the word out. It such a simple/easy way to let anyone and everyone know about the show. Then, how do you convert that attention into ticket sales? It’s all about giving the people a taste of what we’re about (a couple songs to listen to, a promo video, promo pictures/updates, etc.) so that it’s enough for them to know about the show and be intrigued, but little enough so that they feel inclined to check it out. Also, this is a new musical – people who come to the shows June 26-28 can say they saw it first. There are only a couple opportunities right now to see this entire production live for only $5. What are some of the most significant challenges that you’ve faced and continue to face from the show’s inception until now? Everything haha. It’s all very hard, because we are doing EVERYTHING ourselves – budgeting, blocking, choreographing, conducting, ticket sales, etc., but the biggest challenge right now is making sure that every logistical challenge is met within the next couple weeks. We are working tirelessly day in and day out to meet our goals and have every intention of achieving them. Collaboration and communication. We frequently have Skype calls in which every member of the production team voices questions/comments/concerns/updates about our progress. We give ideas and work through each logistical barrier with forwardthinking. What do you hope to come away with when the performances are over? What is your ultimate goal for this show? Besides three shows that we are all extremely proud of and gained experience and knowledge, we are planning on recording the show to put it online, inviting industry reps, and pushing the show to bigger stages and opportunities. This is the creation of the show and the beginning of hopefully a bright future for it. What else have you written and composed? I have created music through a solo project under my name (Brett Steinberg) for three years and have released three full-length records under that. 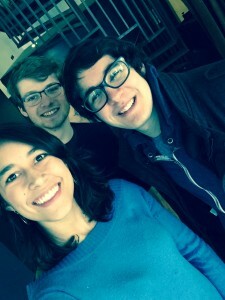 I was in a band called Run On The Sun, in which we released an EP. I also am in a new band called Kalimur, which just released our debut full-length record entitled “Ghosts We Used To Know,” which I am extremely excited about! The shows will be on June 26, 27, 28 at Toquet Hall in Westport, CT at 7pm. Tickets are $5 (TIX link: https://www.eventbrite.com/e/absolute-a-new-musical-by-brett-steinberg-tickets-16303002720) and they are selling fast, so get them while you can. Spread the word. We can’t wait to see you there!